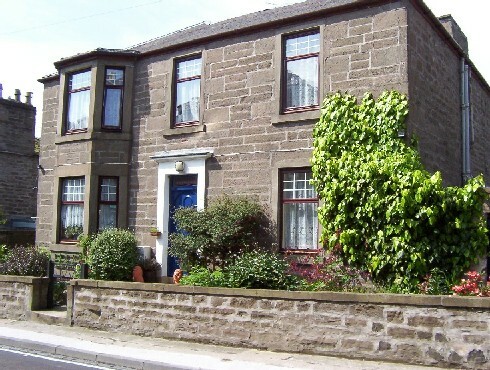 Bed and Breakfasts near Dundee Ice Arena for 1 night from Tue Apr 23, 2019 to Wed Apr 24, 2019 within 25 miles, in an Average Nightly price range of £1 to £200. Sleeperz Hotel Dundee our 120-bed design-led hotel is located directly above Dundee Railway Station the gateway to the city. Guests will enjoy views over the nearby V&A Museum Dundee the River Tay and onto the new Waterfront Plaza. Sleeperz Hotel Dundee stylish design air conditioned free and fast wi-fi and super comfortable bespoke handmade Sleepeezee mattresses. Whether it is for business or pleasure time to relax or time for an adventure: The Longforgan Coaching Inn is the right choice for a relaxing stay at the end of a busy day or for a weekend break. As our guest you can enjoy all the modern conveniences in the setting of a traditional 17th Century Inn : from comfortable well-equipped rooms to our attentive staff who are always on call to look after your every need. With our many years of experience and long tradition of friendly service we look forward to welcoming you as a guest. The Longforgan Coaching Inn is a wonderful place to stay for business or pleasure. Its conservation village setting and close proximity to Dundee and public transport. Make it easily accessible while offering plenty of opportunities to escape and explore the surrounding area. Longforgan Coaching Inn is a converted 17th-century inn is located beside the A90 and situated just 6 miles from Dundee and only 30 minutes from St. Andrews, Carnoustie and Gleneagles Golf Courses. Longforgan lies 6 miles from Piperdam Loch, 12 miles from the River Tay and less than 20 miles from the open sea, all of which offer the opportunity for fishing. The V&A Dundee is 12 km away from the property. All rooms feature an en suite bathroom with a bath and shower. Recently refurbished, the rooms are also equipped with a TV and tea and coffee making facilities and free WiFi.